The following terms and conditions apply to both our website and products that we sell. Our website, and the related information contained within, is all property of PVC Vent Screens. The information, including but not limited to images and text, may not be used without the written consent of PVC Vent Screens. PVC Vent Screens sells proprietary products that are designed to keep insects, animals and outdoor debris from entering PVC intake and exhaust vents. 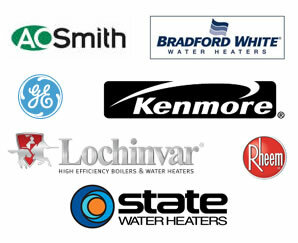 Since there are many different manufacturers of high efficiency appliances (furnaces, hot water heaters, boilers, etc. ), it is the responsibility of the customer to verify that our screens are suitable for use with their appliance’s vent(s). Under no circumstances shall PVC Vent Screens, its owners, affiliates and other related providers be held responsible for any damages resulting from the use of our screens. Orders are typically processed within one business day or sooner. At the present time we are processing orders six days per week, though there may be a delay in when the carrier takes possession of any shipment as the result of of shipping cut-off times, weekend hours and observed holidays. Customers may cancel any order that has not yet shipped. Orders which have not been packaged may be cancelled at no cost. Orders which have been packaged and labeled shall be charged a $2.00 cancellation fee to defray the labor and material costs of packaging along with the labor required to seek reimbursement for the shipping label. In most cases, carriers take up to two weeks to refund us for cancelled labels. Orders which have been fully processed and left our possession, which are currently in the carrier’s possession, can not be cancelled. To cancel an order, please submit your request using the form on our contact page. When an order is received, the customer authorizes us to bill his or her credit card or PayPal account for the authorized amount of their total sales order. The funds authorized for the order will be captured (accepted) only when the order ships. Invoices are included with each order, but also may be obtained/printed by logging into your customer account. We ship all domestic orders using the United States Postal Service’s First Class Mail or Priority Mail service. Freight within the United States and Canada is quoted during checkout. Canadian customers have the option of selecting from International First Class Mail (most affordable) and International Priority Mail services. In most cases, orders shipping to United States destinations are delivered within two or three business days with Priority Mail and 3-5 days using First Class Mail. To view the USPS United States Priority Mail delivery zone map, which estimates the time it will take to receive your order, please click here. International orders shipped to destinations in Canada generally take 6-10 business days for delivery. When shipping goods the issue of package damage does arise on occasion. Damage to packages, and the contents within, is the responsibility of the carrier. In these cases the customer must contact us to initiate a damage claim. Our customers agree to assist us with filing/processing such claims. Such assistance may include supplying photographs, retaining the original packaging and/or supplying a sworn statement to the carrier. Residents of the State of Ohio shall be charged a sales tax rate of 8%, as is required by state law. Qualifying charitable organizations, businesses and government agencies may visit our sales tax exemption page to learn more about in-state tax exempt purchases. Residents outside of Ohio do not pay sales tax on orders originating from our website. We offer a thirty day warranty, effective from the day of delivery, on all of our vent screens. Any vent screen found to be defective during this period of time will be replaced, at no cost to our customer, excluding the cost of return shipping. Qualified return replacements will be sent to the customer within three business days at no additional cost to our customers. Vent screens that have been improperly used, abused or subjected to conditions beyond their intended use will not be replaced under this limited warranty. Under no circumstances does this warranty cover loss of use, consequential or incidental damages arising from the use or inability to use our vent screens. 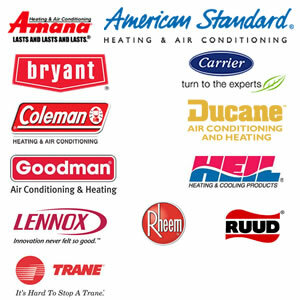 We offer a thirty day money back return guarantee on all of our vent screens. Unwanted or defective products may be returned, with postage and any applicable insurance prepaid, if they have an accompanying RMA (Return Merchandise Authorization) number issued within thirty days of the original order date. Please contact us to obtain a RMA number if you wish to return an item. Please note RMA numbers are valid 14 days after they are issued and any return must be postmarked within those 14 days. A restocking fee of up to 20% may be assessed to process and repackage returns that are received in new condition. Returns that are missing components, used and/or are damaged are not considered to be in new condition and shall not be accepted for return. Returns that lack a valid RMA shall not be accepted for return. All eligible refunds will be processed within five business days from the day of receipt, but shall exclude the cost of freight and any applicable restocking fees. Once a RMA number is issued for a requested return, it should be sent to the address below with the RMA appearing on the label and a copy of the original packing slip/invoice inside the package. While some businesses may include the cost of processing returns in their product’s original sale price, we do not. Particularly with dimensional products, those unfamiliar with PVC sizes may not take measurements prior to placing an order with us and order the incorrect size. Rather than spreading the cost of restocking products onto all of our customers, we do charge up to a 20% restocking fee for each qualified return. Broken set returns, such as one vent screen being returned from a discounted set of two vent screens, shall have the restocking fee assessed on the individual returned part(s) retail price. Returns received that have not been previously authorized with a RMA number, including refused, unclaimed, undeliverable, etc. shipments, may be assessed a 30% restocking fee. When a return is received, it must be unboxed, inspected, repacked in new packaging, a refund issued and accounting must be updated to reflect this. It is not uncommon for it to take 15 minutes to complete all the steps to fully process a single return. Additionally, credit card processors also charge swipe and transaction fees for not just the original transaction, but also when refunds are sent. Except in rare cases, we do not offer exchanges. In the vast majority of cases, the total available credit from a return is insufficient to cover both the cost of the desired vent screen(s) or cap(s) and shipping. Because of this, we issue refunds on returned products in accordance to our terms. If a different size vent screen or cap is desired, due to ordering the incorrect size on the initial order, we encourage our customers to place a new order to avoid any potential delays due to availability. Prior to placing a new order, we recommend viewing our sizing page and the specifications on the product detail page of the desired vent screen(s) or cap(s). We do not offer a price matching guarantee. Though we do supply major wholesalers with our vent screens and caps, the price at which they sell our products is largely dependent on their expenses and purchasing volume. Additionally, marketplaces also have added costs that typically contribute to the total final cost of the products they sell. As a general rule of thumb, manufacturer direct pricing is the lowest. 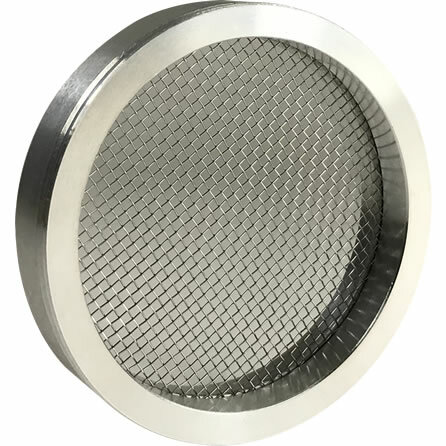 For this reason, the prices for the vent screens and caps we sell in our store reflect true manufacturer direct pricing. We do not accept back orders on out of stock items. We do offer a wait list notification, which our visitors may take advantage of. When a particular SKU is out of stock, visitors may enter their email address on the product detail page to be notified immediately once stock becomes available. Since everyone on the wait list will be notified at the same time, available stock will be sold and shipped to those that place an order on a first come, first served basis. Website visitors and customers agree to use our website, products and services at their own risk. Under no circumstances shall we be held responsible for any consequential or inconsequential damages resulting from the use of our website, services and/or products. Such limitations include acts of God, acts of war including but not limited to vandalism, fire, theft or other events. Any party (website visitor, customer, etc.) raising a dispute regarding our website, services and/or products shall do so first by submitting their dispute by certified mail. In the event that a satisfactory resolution can’t be obtained within thirty days, both PVC Vent Screens and the party agree to hold legal proceedings under the jurisdiction of Cuyahoga County in the State of Ohio.